By now I’m sure you have seen this pattern on either a blog, Facebook or Instagram. McCalls 7542 seems to be an instant hit! All of us makers love it, a simple fitted top in two lengths that offers 5 distinct sleeve options. McCall Pattern Company boosted the pattern’s popularity even more by creating a contest just for M7542! I knew as soon as I saw it I would grab this pattern as sleeves are all the rage this year. 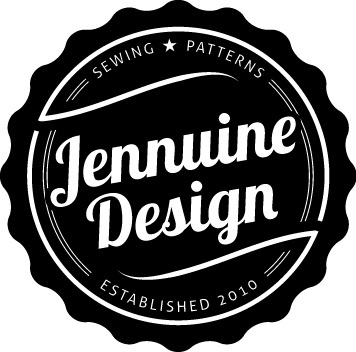 It was definitely on my spring to sew list, but being the contest junkie that I am the McCalls blog contest moved it up the list. I had a difficult time deciding which view to sew as I love them all (though E is probably my least favorite). I decided to go for the trumpet sleeve of View B as I feel it’s the most dramatic but I went with the longer length of views D & E.
Next up what fabric? I shopped my stash (as I’m really trying to put a dent in it) and pulled out Ankara, seersucker, gingham, chambray and challis. Ultimately I decided this lightweight white fabric would be lovely for view B. I mean who doesn’t needed a white blouse. I’m not really sure what this fabric is because I purchased it as a remnant from a local warehouse store. It sort of looks like a linen due to the slubs in the weave but it feels more like cotton. I’m really not sure but I loved the texture and the weight. This top is simple with an added flair and that is what makes it a great pattern. There’s a front and back bodice, front and back facing, and a two piece sleeve (either front and back sleeve for A or a upper and lower sleeve for B-E). As an added bonus there are separate bodice pieces for A/B, C and D cups which is great because not everyone is a B cup (which is the size standard patterns are designed for). Sewing was a breeze as the instructions were clear. The most taxing step was hemming the trumpet sleeve. Had I had some white bias tape on hand I would have used that to ease the process, but I wasn’t up for a fabric store trip (rare I know!). I was able to complete this project in a day, I believe. The only deviation I took from the pattern was changing the hook and eye to a loop and button. I took a short piece of fabric from my project scraps and cut a 1/2″ strip of fabric. I essentially make skinny bias tape by folding it in half, pressing it and then opening it up and folding both edges to the pressed line and pressing again before stitching it closed. It still wasn’t thin enough so I folded it once more and stitched again. I then trimmed it down, made a loop and sandwiched it between body and the facing before I topstitched the top back opening. All that was left was sewing on a small button. My only issue is the tightness of the sleeve. I had this issue with the last woven top I made so maybe I have large biceps? Hopefully my workouts are working!!! I feel the bodice itself feels like a good fit, as it is described as semi-fitted, but the armcye and upper sleeve feel snug. Next time I will cut a size 18 armhole and sleeve to give myself another 1/2″ or ease. Other than that I really like the pattern and I’m already trying to narrow down fabric for View C as I really like the pleated sleeve. I’m thinking denim or Ankara, we’ll see soon. All Aboard!!! Are you jumping on this dramatic sleeve train? Have you made M7542? Which view? What other patterns are you loving for this sleeve trend? Pattern Description: Semi-fitted tops have sleeve variations. Includes separate pattern pieces for A/B, C, and D cups. Fabric Used: White mystery fabric, probably cotton from a local fabric warehouse? Likes: All the sleeve variations. Lack of zipper. Pattern alterations or any design changes made: None, but I will cut a 18 armhole and sleeve next time. Would I sew it again? Yes, I’m planning on View C next. Would I recommend it to others? If they haven’t already, yes! Conclusion: Easy top pattern with dramatic results. This is really cute on you! Love that you made it in white. BTW, you can always add a zipper to the back in future versions. Thanks! I could but I like the button. Looks really good and you wear it well too! I’m new to your blog and I’m loving it! Keep up the great work! !